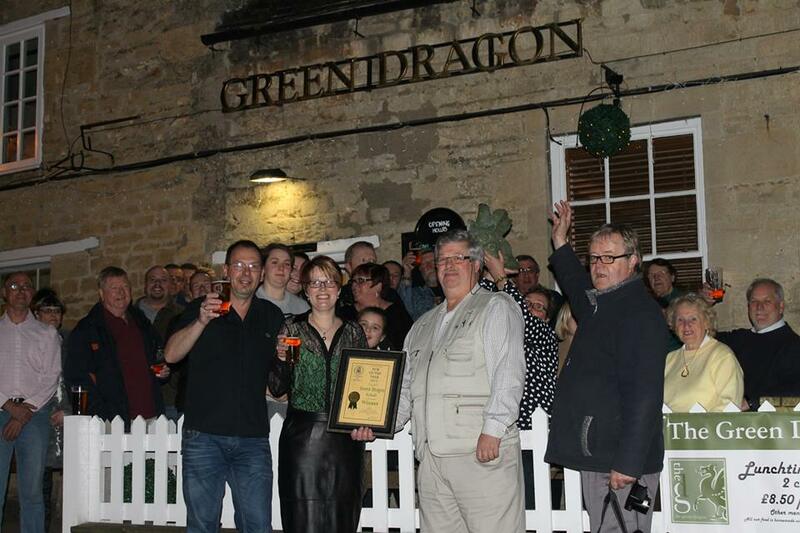 February 1st sees us celebrating our 3rd birthday at the Green Dragon and what a wonderful few years it has been so far. Due to the continuing success of our restaurant and business in general we have had to review how we operate in order to provide the very best of service. With that in mind it is with regret that from the 1st February 2016 the pizza delivery service will stop, but do not panic, you can still collect from us or if the order is over £50 we will still bring it to you. 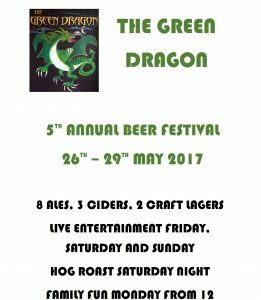 Outside Bar – We are equipped to set up bars from village halls, marquees and most remote locations. Outside functions – We can provide catering for small functions either at the pub itself (in the gala tent) or in a location of your choice. All our food is homemade and of the highest quality and we can cater for all needs. Pizza Parties – Want something a bit different for the kids then why not let us do a pizza party with Karaoke and disco the benefit being you get to have a quick pint or two whilst we look after your little ones. Murder Mysteries – Why not book a private party ? All you need is a minimum of 8 people or a maximum of 14 and we will do the rest for you.